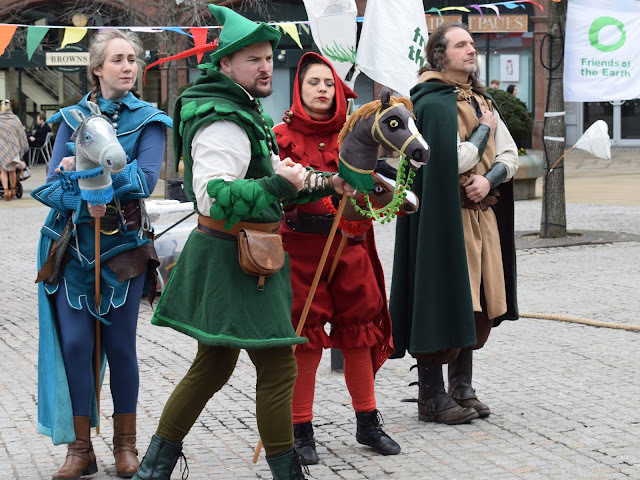 Countryside around Sheffield is at risk from chemicals giant INEOS who even want to carry out fracking surveys inside ancient Sherwood Forest, home to the legend of Robin Hood. If Sherwood is not safe from fracking, nowhere is safe. Friends of the Earth, working alongside local communities and actors portraying Robin Hood and his merry band of outlaws, put on a series of family-friendly events in Sheffield from 19 - 24 March to tell people more about the threats to our countryside from fracking. Beside street theatre there were also kids' activities, music, speeches and performances. 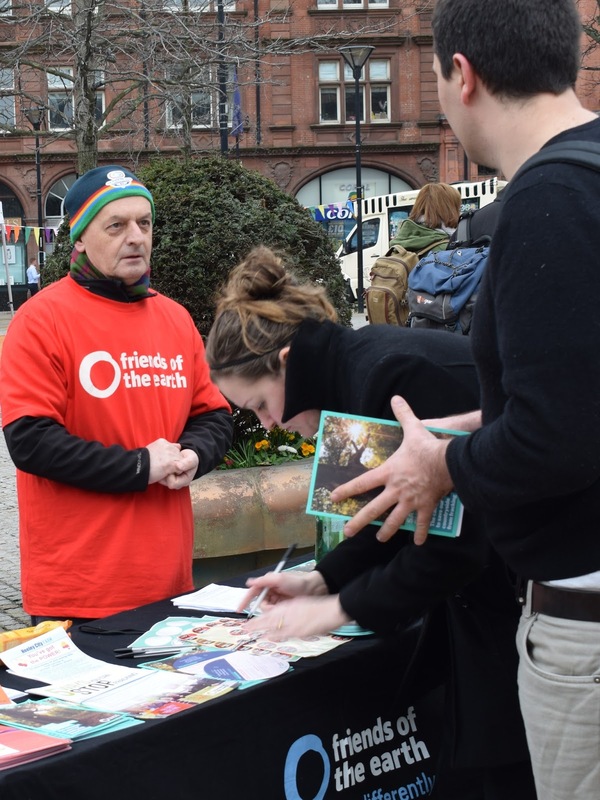 We were expecting Saturday to be the busiest day so many local campaign groups ran stalls to distribute information leaflets and get post cards signed opposing fracking. If you haven't yet signed the petition then you can do so here. 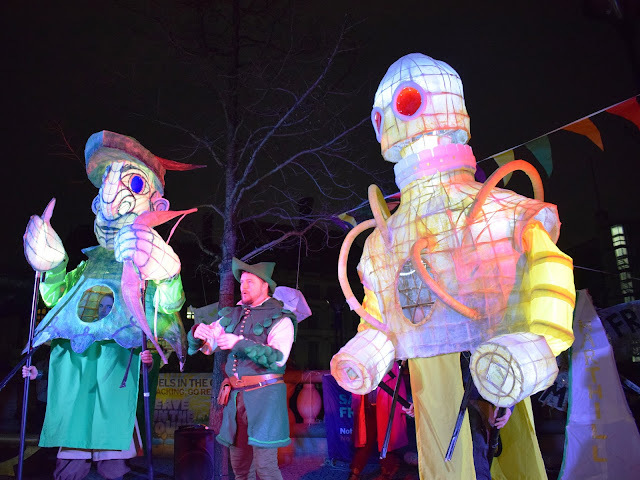 The week of events finished with a stunning lantern lit giant puppet show where Robin Hood defeated the frackers and saved Sherwood Forest. The week of events were widely publicised in the local media. The article/video from The Star is here. The video from Sheffield Live is here. 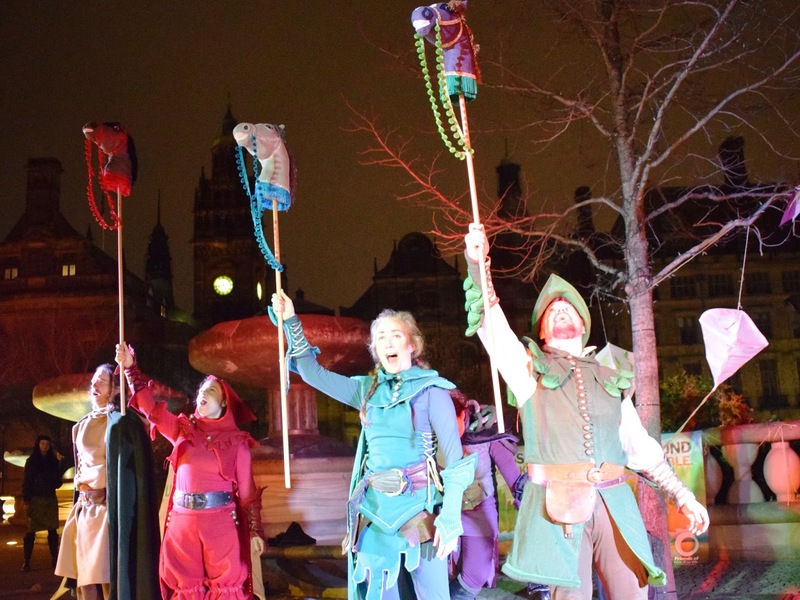 The Shef News article is here.